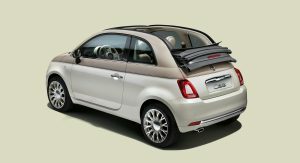 Fiat announced a new limited edition of the 500 Convertible to celebrate the 60th anniversary of the original Cinquecento. 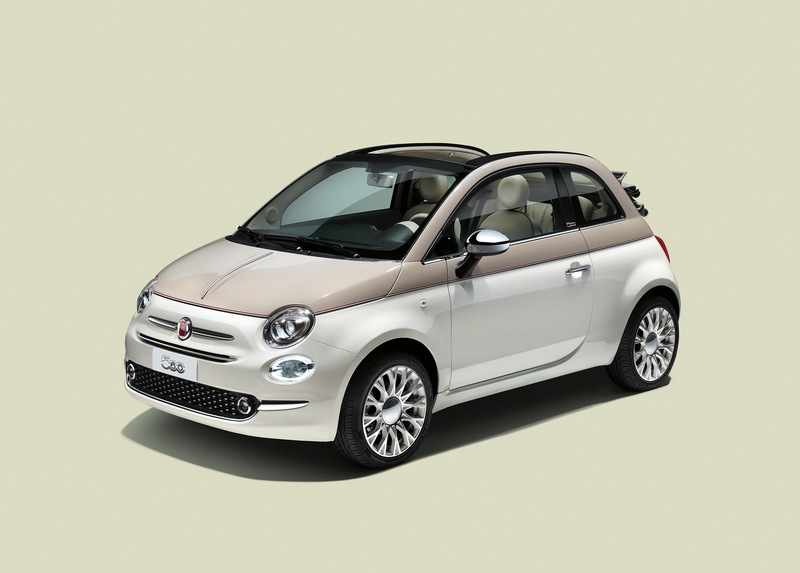 The new Fiat 500 – 60th will be offered in 250 units in the UK and with the first 60 of them individually numbered. 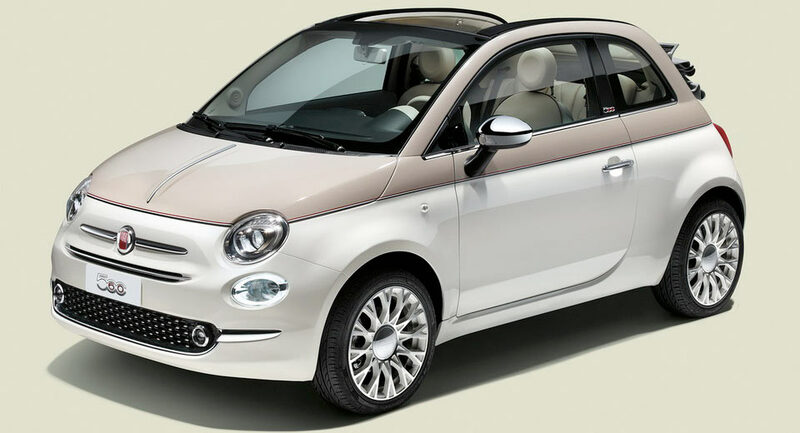 The latest special edition Fiat 500 Convertible comes finished in a bi-color combo, with a tri-coat white for the body and pastel ivory for the bonnet and pillars. 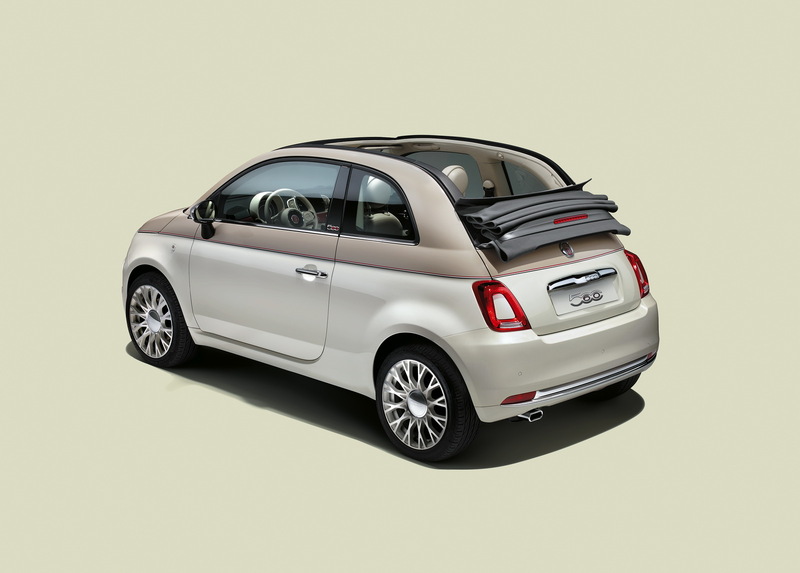 The fabric roof is grey, the mirror covers are chrome and there is also a set of special 16-inch alloys with a white diamond finish. 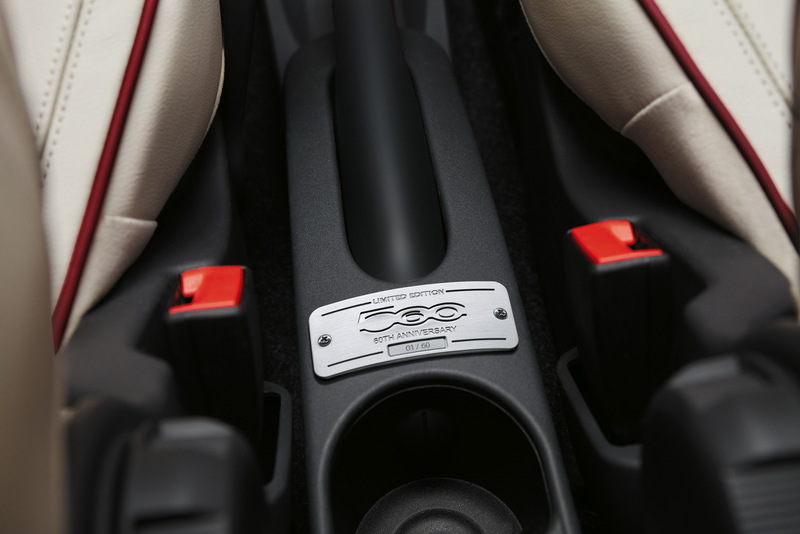 The body also features vintage Fiat logos and a unique 500-60 badge. 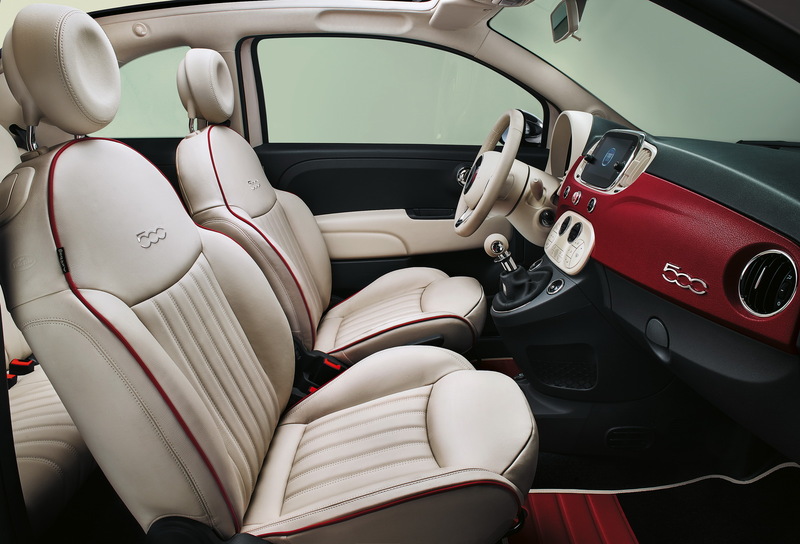 The cabin features a bordeaux vinyl dashboard, retro-inspired ivory leather seats with contrasting piping, an ivory leather shifter and a retro Fiat logo on the steering wheel among other things. 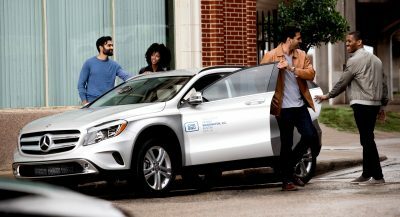 The 7-inch UConnect infotainment system comes with Android Auto and Apple CarPlay while the new 500 – 60th also offers standard features such as cruise control, automatic climate control and rear parking sensors among others. 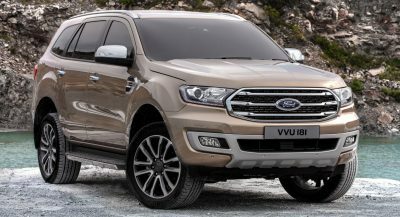 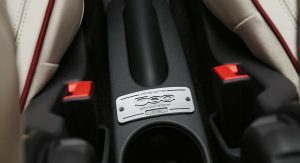 Customers will be offered the choice between three petrol engines; a 69hp 1.2-litre and the 0.9-litre TwinAir two-cylinder with either 85 or 105hp. 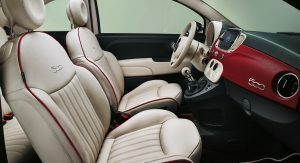 The TwinAir versions are also offered with Fiat’s Dualogic gearbox. 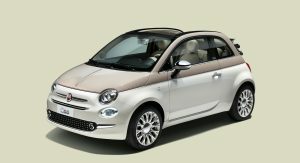 Don’t expect it to be cheap though as Fiat set the starting price at £19,240 (around $24k in current exchange rates), making it more expensive than its hot counterpart, the Abarth 595 Trofeo. 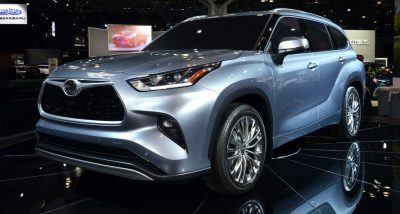 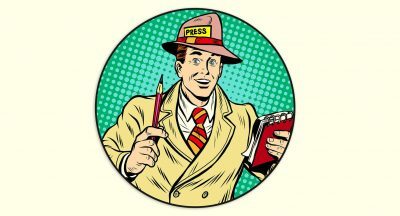 The first deliveries are expected to start from 4th of July. 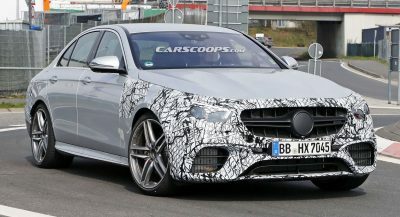 Next PostNext 2018 Mercedes-Benz S-Class Facelift, This Is It!